The most active and innovative astrophotography forum in the world! Its only recently, with the mass production of good quality telescopes, that telescope making and observing are no longer the same hobby. However there is still so much to be gained in making and using your own telescopes that ATMing is still going strong. 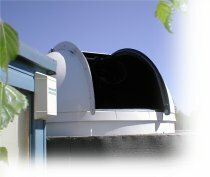 From here you will find details of the scopes and dome I have put together over the last few years. The current set up at PMDO is described here. The Poor Meadow Dyke Galleries are now open.